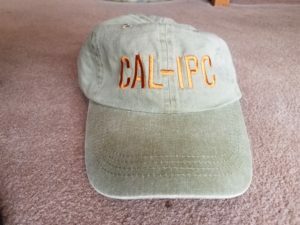 Show everyone how much you love to support Cal-IPC by letting us get your back. 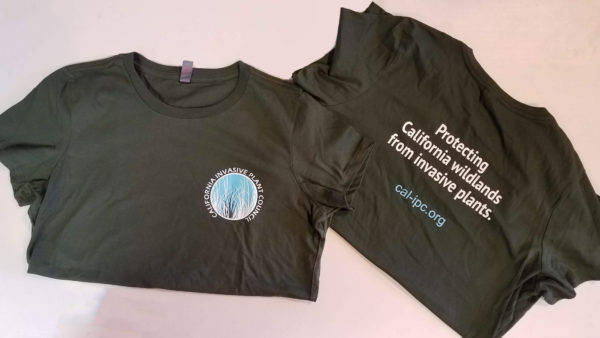 This T-shirt has the old Cal-IPC logo on the front, and the words “Protecting California wildlands from invasive plants” on the back. Dark green only. 100% pre-shrunk cotton, short-sleeved. 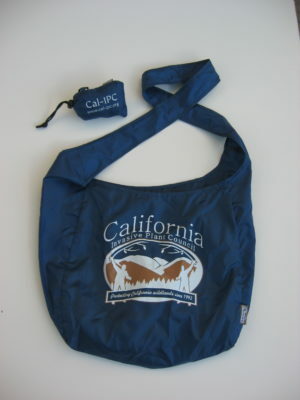 Please note that we have very few sizes and styles left in this design.